If you’ve ever walked down the pet aisle at a big supermarket you’ve gotten a sense of the scale of America’s pet industry. According to the American Pet Products Association (APPA), total pet industry expenditures reached $60.59 billion in 2015. That’s up from $58.04 billion in 2014. Let’s take a closer look at the economics of the pet industry and how much the average American spends on the family pet. What are the costs that go into pet ownership? Food is the common denominator. Other costs can vary by animal. Depending on the kind of pet you choose you may need litter, toys, treats, medical care, health insurance and a license. According to the APPA, Americans spent a total of $23.04 billion on pet food, $14.39 billion on supplies/OTC medicine, $15.73 billion on vet care, $2.19 billion on live animal purchases and $5.24 billion on pet services like grooming and boarding. 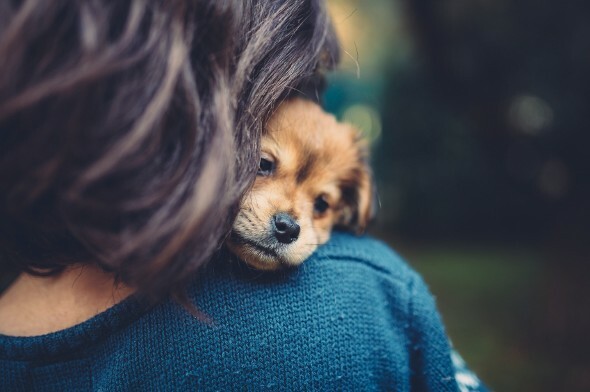 When you first get your pet you may need to make a substantial outlay on capital expenses that can’t really wait, like vaccinations and spaying/neutering. Then there’s the cost of the items you may need for your home, like a litter box, crate, leash or fish tank. The American Society for the Prevention of Cruelty to Animals (ASPCA) publishes a chart that breaks down average annual expenses for different types and sizes of pet. According to the ASPCA, a small dog will cost you $1,314 in the first year, a medium dog $1,580. Want a large dog? Be prepared to spend $1,843 in your first year as a dog owner. Other pets are more affordable. The ASPCA estimates that a cat will cost you $1,035 in the first year, a rabbit $1,055. Guinea pigs are a relative bargain at $705. The ASPCA estimates that a “small mammal” (think: mice, rats) will cost you $340, a small bird $270 and a small fish $235. Spending on over-the-counter pet items has skyrocketed. In 2011 Americans spent $2.1 billion on over-the-counter pet products like pet toothpaste. That’s a 73% increase over 2000, according to the Wall Street Journal. Related Article: When Are Pet Expenses Tax-Deductible? When the Great Recession hit, Americans cut back on spending and tightened their belts. However, spending on pets barely declined. In fact, it was pretty much recession-proof. Pet spending appears to be remarkably resilient in the face of economic downturns. The Bureau of Labor Statistics (BLS) tracked average annual household spending on a range of expenses, including Pet Food; Pet Purchase, Supplies, Medicine; Pet Services and; Veterinary Services. Between 2007 and 2011, pet spending hardly changed at all. In 2007, pet spending represented 0.9% of total spending. In 2008-2009 pet spending was 1.1% of total spending. That dropped to 1% in 2010 and 2011. Not much change considering we were going through a severe downturn that left many Americans out of work. In dollar terms, American households spent an average of $430.80 on pets in 2007. That rose to $570.88 in 2008. Then in 2009 Americans spent an average of $542.85, which dropped to $480.09 in 2010. By the end of 2011, Americans were spending an average of $502.05 on their pets. The BLS findings included some surprises: “In 2011, households spent more on their pets annually than they spent on alcohol ($456), residential landline phone bills ($381), or men and boys clothing ($404). Average household spending on pet food alone was $183 in 2011. This was more than the amount spent on candy ($87), bread ($107), chicken ($124), cereal ($175), or reading materials ($115). Even when spending at restaurants dropped during the recent recession (December 2007–June 2009), spending on pet food stayed constant.” That’s right – we spend more on pet food than we do on reading material. 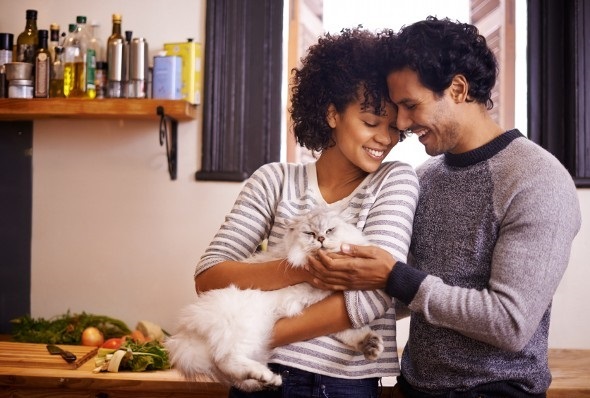 Here’s an interesting tidbit if you’re deciding whether to rent or buy: According to the BLS report, homeowners spent almost three times as much on their pets as renters. Not surprisingly, married couples without children spent the most on their pets. 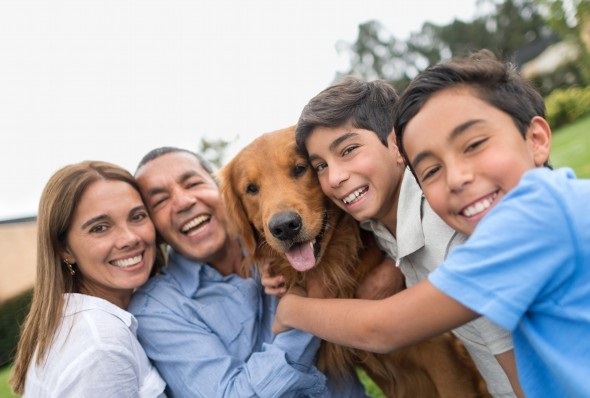 Related Article: Do You Really Need Pet Insurance? Spending on pets is about more than food and veterinary bills. These days, pet-owners of means have plenty of high-tech options to enhance their pet’s lifestyle. There are dog treadmills ($799 for a medium-sized dog). There’s Whistle, a fitness tracker with a GPS locator feature ($79). There’s even iFetch ($110), which shoots balls out for your dog to fetch. Your dog can return the balls to the iFetch’s funnel to be shot again. Miss your pet while you’re away at work? With PetChatz ($349) you can have a video chat with your beloved dog or cat. PetCube ($199) does something similar, and even lets you play laser games with your pet while you’re away. While some states ban exotic pet ownership, other states allow it, some with a permit system and some without any permits required. In 2011, 10.6% of U.S. households owned specialty/exotic pets, according to the Pet Industry Joint Advisory Council (PIJAC). That’s down from 12.7% in 2006. Depending on where you live, you could own a capybara, a kinkajou, wallaby or chimpanzee, as well as a host of other exotic animals. Many Americans’ first exposure to the world of exotic pet ownership was in 2011, when dozens of exotic animals were released from a private zoo in Zanesville, Ohio. The escaped animals, including lions, tigers and wolves were then killed or captured by law enforcement. Check out this map to see which states allow exotic pets. Depending on where you live, your neighbor could have a lion. Nevada, Wisconsin, Alabama, North Carolina and South Carolina have no laws on the keeping of wild animals as pets, according to the Humane Society. As we mentioned above, Americans spent an estimated $15.73 billion on veterinary care in 2015. According to an APPA survey, dog-owners spent an average of $235 on routine vet visits in 2015, cat-owners $196. What’s driving those costs? In part, it’s the rise of more expensive procedures, including surgery and MRIs for pets. There’s also the fact that veterinary medicine is a well-compensated profession. According to the BLS, vets have a median annual salary of $94,460. The field is expected to grow by 12% between 2012 and 2022. If you’re planning to travel at all, you’ll need to make a plan for the care of your pets. That can get pricey. After veterinary care, boarding is the most expensive part of pet ownership. According to the APPA’s 2015-2016 National Pet Owners Survey, dog owners spent an average of $333 on kennel/boarding costs. Cat owners spent less ($130). But if you live in a big city and need a dog walker or doggy day care every day, your costs can easily surpass that $333 average. A 2010 New York Times article cited a couple who estimated that they spent $15,000 per year on a combination of dog walkers during workdays and dog camp during the couple’s vacations. According to the article, kennels cost a minimum of $50 per night. Multiply that by the 10 days many Americans get to take as vacation days and you’ve got a new $500 bill in your life. Currently, 56% of American households have pets, and that number is expected to rise. If you’re on a tight budget or still dealing with a load of student debt, it’s important to factor in these costs before you commit to pet ownership. Can you afford an extra $500 per year for pet expenses, plus an emergency fund for vet bills? It’s a good idea to work that into your budget before picking up a furry friend. Update: Keeping your budget in check with a pet, especially with the expense of food and health care, may be a daunting task. If you’re feeling overwhelmed and want additional help understanding pet insurance and what pet expenses you can write off on your taxes, use SmartAsset’s SmartAdvisor matching tool to pair up with an expert.